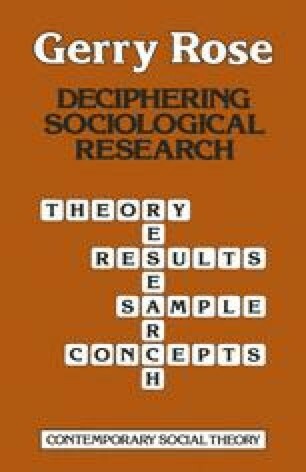 In a discussion of the existing work on research methods in sociology, Bulmer (1977: 4–5) has distinguished three separable themes: first, general methodology, which “denotes the systematic and logical study of the general principles guiding sociological investigation…[and]… has clear and direct links to the philosophy of science”; second, research strategy, which refers to the way in which particular empirical studies are designed and carried out and “what notions about the task of sociological research are embodied in the approach used”; and third, research techniques, which refer to “specific manipulative and fact-finding operations”, for example questionnaire construction, participant-observation techniques, and methods of statistical analysis. Naturally, a textbook which attempts to be comprehensive must deal with each of these themes. In practice, however, it is extremely difficult to provide a fully integrated treatment, and even amongst the better textbooks there is a tendency to treat the three themes separately (for example, Selltiz et al., 1976; Smith, 1975). Of course, many good textbooks deal only with one research strategy or technique (for example, Schatzman and Strauss, 1973; Moser and Kalton, 1971).